Install and run the program, then choose Create a New Project and the main interface of the application will come out, ready to work. Click Import to locate or directly to drag the target files into the program. Or you can click the Media tab, find clips and drag them to the time line directly from your local file directory. There are Video, Audio, Background Audio three rows in the timeline. The imported clip will be displayed as two combined parts on the Video line and Audio line. 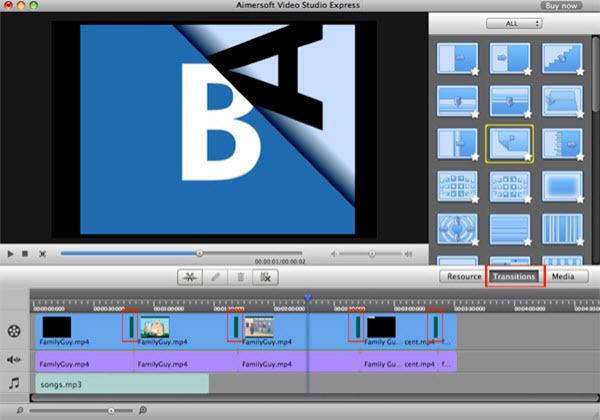 You can Split, Merge, Copy, Paste and Delete both video and audio clips in the timeline. Select a clip in the timeline, drag the Indicator to where you want to split and click the Split button. Then the clip is split into two. Drag the video clips you want to merge into the timeline and click Remove All Gaps to join the added videos together as a whole one. Right-click the selected video and choose copy and paste it to where the timeline indicator is. Note: When you drag or edit the clip, the video and audio parts will move together. You can break the link and move or edit the video or audio separately. And you can also drag an audio file into the Background audio line to add background music. 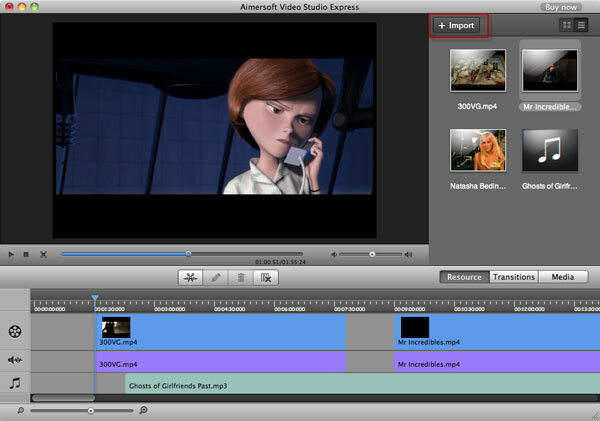 Video Studio Express has ample editing features. For example, you can cut out the unwanted part in the Crop frame; adjust video brightness, contrast, and saturation in the Effect tab; or rotate the video in a horizontal or vertical way. You can just select the proper part to edit your file based on your needs. Click the Transitions tab under the video library and you will find all transition effects. Click on a transition and you will see its effect in the preview pane. 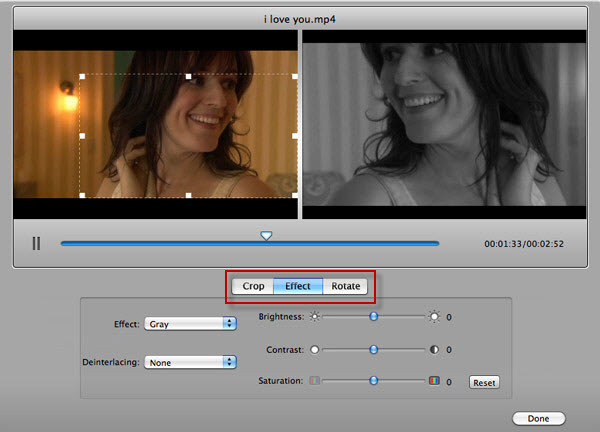 To apply a transition between two video clips, drag it to the front clip directly. A black rectangle will be added. Double-click the rectangle to adjust the duration of the transition. Tip: If the transition rectangle is too small to click, you can use the timeline zoomer to zoom it. 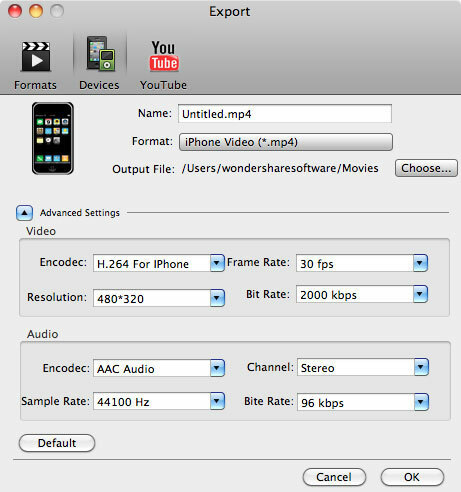 Aimersoft Video Studio Express for Mac is not just a video editor, but also a video converter. You can import all popular media files into the program, and also convert and output the newly edited video into any compatible formats for your portable devices like iPhone, iPad, PSP, etc. If you would like to share your edited work online with more friends, just upload it to YouTube directly.